Last week the CDC issued its final report on birth data for 2011. That includes final adjustments and new charts, but no major changes from the preliminary report issued last October. 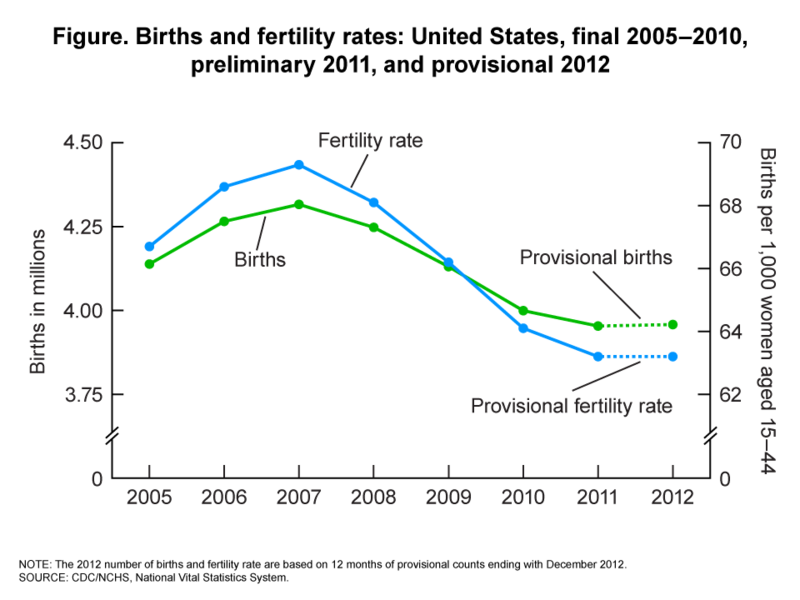 The final confirms that the general fertility rate for 2011 was the lowest ever reported: 63.2 births per US woman aged 15-44. It confirms too that the number of births fell in all age groups except women 40-44. On the birth rate side, the rate fell 8% –in one year!– among women 15-19, to another historic low. The rate fell 5% among women 20-24 (also to an historic low), and 1% for women 25-29. It held steady for women 30-34 and rose 3% among women 35-39 and 1% among women 40-44. 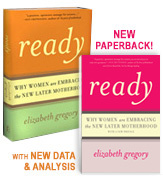 One new datum is the average age at first birth for US women: 25.6–a new high. In June, the CDC released a two-page summary of the number of births in 2012, not broken out by age, race or other factors. They report a rise of 4407 births over 2011 – and no change in the general fertility rate (still 63.2). NOTE: The 2012 number of births and fertility rate are based on 12 months of provisional counts ending with December 2012.